Conway, M., Jarvis, L., Lehane, O., Macdonald, S., Nouri, L.
Terrorist use of the Internet has become a focus of media, policy, and scholarly attention in recent years. Terrorists use the Internet in a variety of ways, the most important being for propaganda purposes and operations-related content, but it is also potentially a means or target of attack. This book presents revised versions of a selection of papers delivered at the NATO Advanced Research Workshop (ARW) on ‘Terrorists’ Use of the Internet’ held in Dublin, Ireland in June 2016. One aim of the workshop was to nurture dialogue between members of the academic, policy and practitioner communities, so the 60 delegates from 13 countries who attended the workshop included representatives from each of these. The participants encompassed a wide range of expertise (including engineering, computer science, law, criminology, political science, international relations, history, and linguistics) and the chapters contained herein reflect these diverse professional and disciplinary backgrounds. The workshop also aimed to address the convergence of threats. 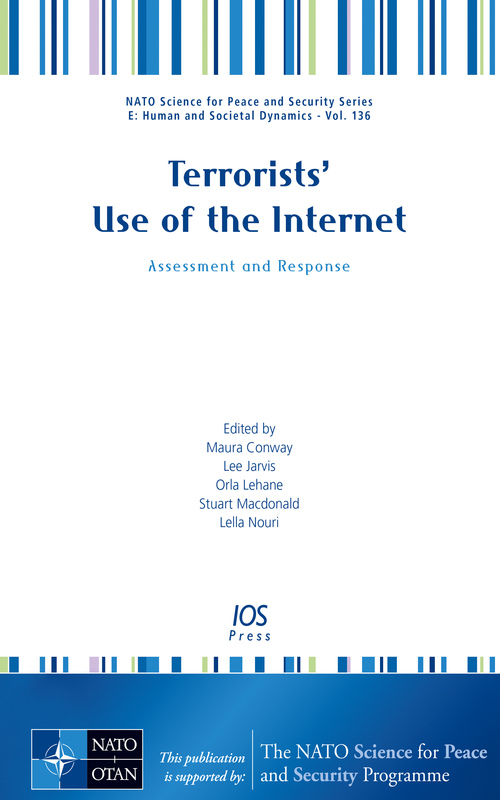 Following an introduction which provides an overview of the various ways in which terrorists use the Internet, the book’s remaining 25 chapters are grouped into 5 sections on cyber terrorism and critical infrastructure protection; cyber-enabled terrorist financing; jihadi online propaganda; online counterterrorism; and innovative approaches and responses. The book will be of interest to all those who need to maintain an awareness of the ways in which terrorists use the Internet and require an insight into how the threats posed by this use can be countered.